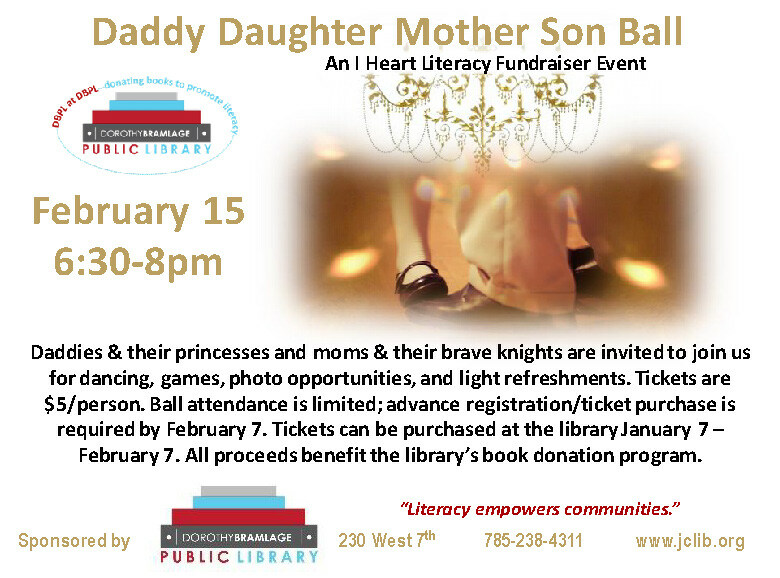 Daddies and their princesses and mom and their brave knights are invited to join us for dancing, games, photo opportunities, and light refreshments. Ball attendance is limited; advance registration/ticket purchase is required by February 7th. Tickets can be purchased at the Library.